Masaryk Hall has been an integral part of Toronto’s Parkdale community for over 100 years, and has evolved over time to serve as a venue for various sports activities. 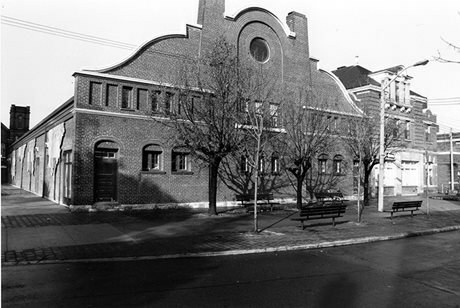 The south portion of the building, constructed in 1898, became the Parkdale Curling Club. In 1907, it was converted into an indoor roller skating rink. In 1915, it was renamed the Pavlova Dancing Academy and became a popular local dance hall. In 1936, the building was purchased by Reginald E. Cole. Although the Pavlova name was retained, the structure came to be used as a tennis club. Following this, John Inglis Co. Ltd. leased the building as a recreation centre for its wartime employees. From 1945 until the building was acquired by the City of Toronto in 1979, Masaryk Hall was used by the local Czech community and named the Masaryk Memorial Institute in memory of Tomáš Masaryk (1850-1937), Czechoslovakia's first president. Since 1987, the building has been known as the Masaryk-Cowan Community Recreation Centre. The building is protected by an Ontario Heritage Trust conservation easement and was designated under the Ontario Heritage Act in 1986. Visit Masaryk Hall at 220 Cowan Avenue in Toronto, Ontario. Read more about this designated building on the Canada’s Historic Places website. Learn more about the current programs offered by the City of Toronto for the community at Masaryk Hall.